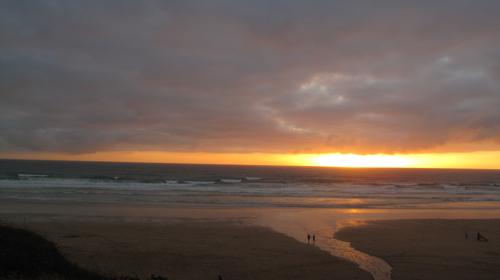 After 6 hours on the train from London Paddington to Newquay (post-GSCE-adolescents screaming at the top of their lungs the entire way), this was the view at Watergate bay which greeted us as we were shown to our dinner table at Fifteen. We hadn’t eaten a thing or seen the menu yet, but immediately, it all seemed so totally worth it. Btw, for those who don’t already know, I am a big Jamie Oliver fan. I credit many of his earlier works for getting me through university (albeit with a few extra kilos) and hooked onto cooking in the first place. I’ve actually been wanting to visit the original Fifteen restaurant in Old Street for many years but have never been able to get a booking on short notice. With last minute availability at his stunningly located Cornwall outpost, it was difficult to find reasons to procrastinate further. 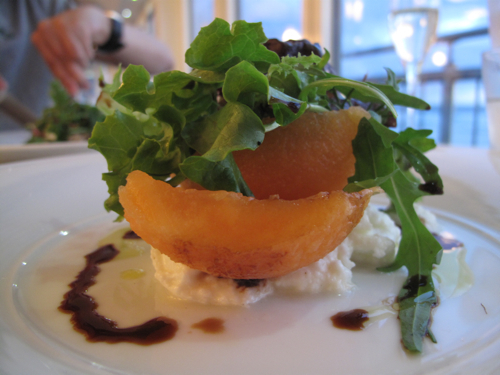 The Dinner menu here is a 5 course Degustation style experience that sings locally sourced Cornish seafood throughout with an Italian twist. Apart from the Canapes which are fixed, you can construct the next 4 courses of your meal as you please from a choice of 2 first courses, 2 pasta courses, 4 mains and 3 desserts. Enough said. I will let the photography walk you through our meal and round up with some after-thoughts on the highs and mediocrities of the evening. 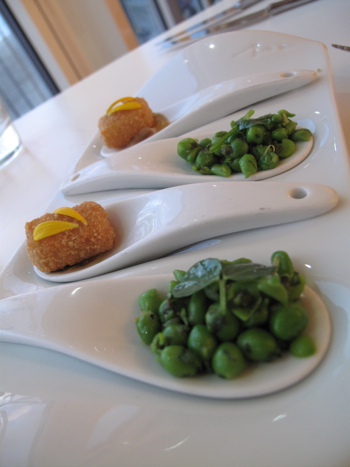 Smashed peas with mint and pea-shoots, Crispy deep-fried Tallegio cheese with goose-berry chutney. 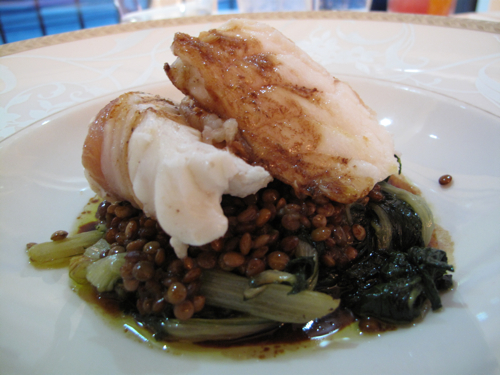 Roast fillet of Monkfish wrapped in lardo di Colonatta, served with Castelucchio lentils and Swiss chard. 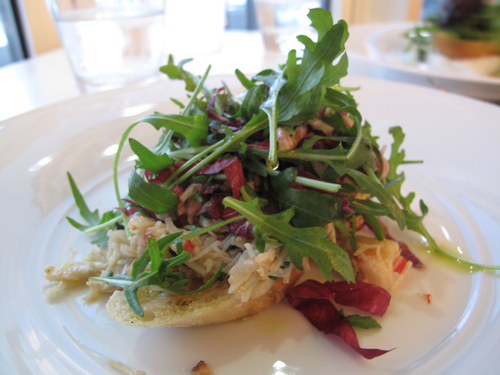 Dishes-wise: The Lobster Ravioli (which Jo and myself both opted for) and the Monkfish were the stand-out dishes. 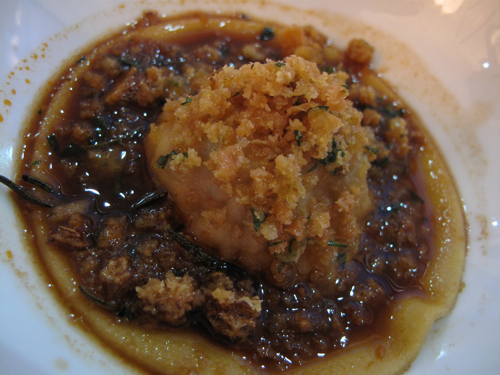 Everything about the Ravioli worked, from the natural sweetness of the lobster meat to the savoury bisque-like sauce.. all finished off with the textural crunch from the deep-fried breadcrumbs (“pangrattato”) that were spiked with lemon zest, parsley and garlic. I wanted more and was secretly relieved I didn’t have the share the rather small, precious portion. 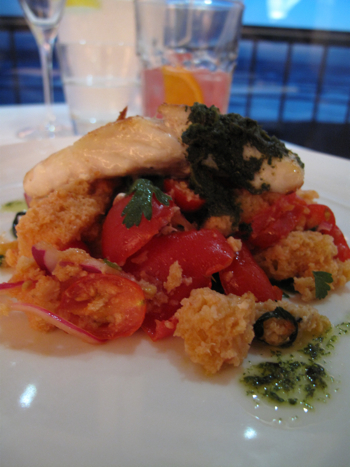 The Monkfish, although not much of a looker tasted quite stellar indeed. I think the Lardo di Colonaatta (thin layers of pig’s fat cured in rosemary) made all the difference here, keeping the fish ever so moist through the roasting process and giving it that meaty and savoury depth of flavour. Perfect with the melt in the mouth Castelucchio lentils and sauteed Swiss Chard. The Incredible View: If the soothing crash of waves along the 2 mile-long Watergate Bay beach is not therapeutic enough, time your dinner booking just in time for sunset and you will be in for a real treat. 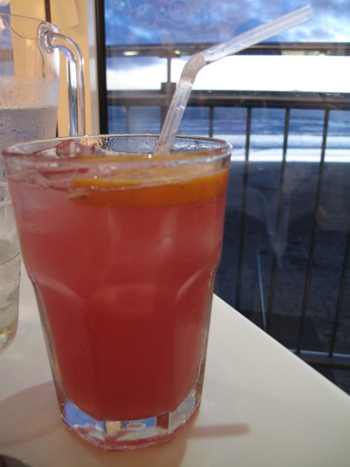 The “herbal” home-made Cola: Yes, its as hot pink as the restaurant deco is and will cause your taste-buds some serious confusion initially. But the longer it stays on your palate though, the more familiar and Cola-ey it soon becomes. Indescribeable but absolutely delicious. Try it. The Puds: Neither impressed really. 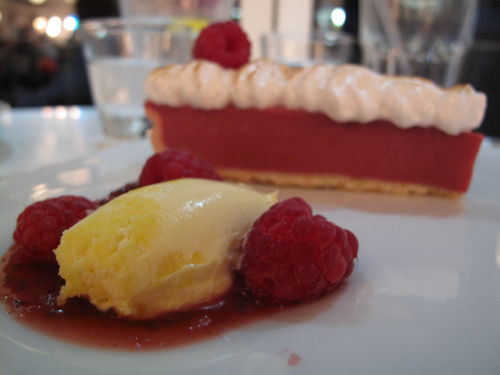 The Raspberry and Gooseberry tart was so sweet it was verging on sickly. Definitely could have done with more pastry, less fruit filling and much less sugar in the meringue. The Food Descriptions: As simple and brilliant as some of the dishes are (and I wouldn’t want it any other way), the menu descriptions here are a serious mouthful to contend with. 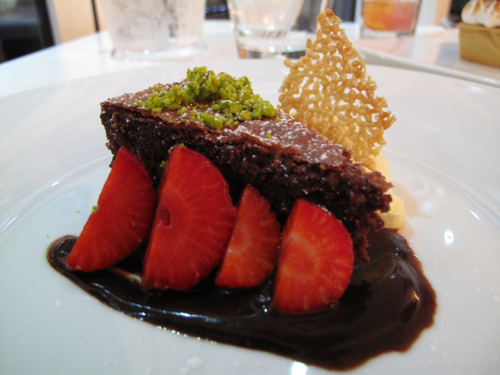 Take for instance “Mike’s Amedei Torta Capri with Toscano White Chocolate Mousse, Royal Sovereign Strawberries and Sesame wafer”. Complete overkill for an otherwise very unfussy, half-decent Chocolate Tart with Strawberries and Cream. 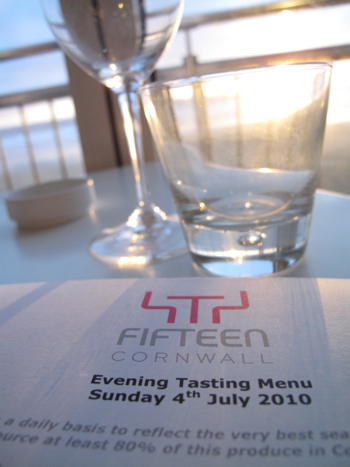 On the whole though, with its breath-taking location, attentive service and quality Cornish produce, what’s not to like. Yes, the £55 Tasting Menu price-tag is a little steep given its not exactly haute cuisine. But if you bear in mind that all the proceeds go back into the Cornwall Foundation of Promise Charity, you can’t fault the spirit of the cause here one bit.